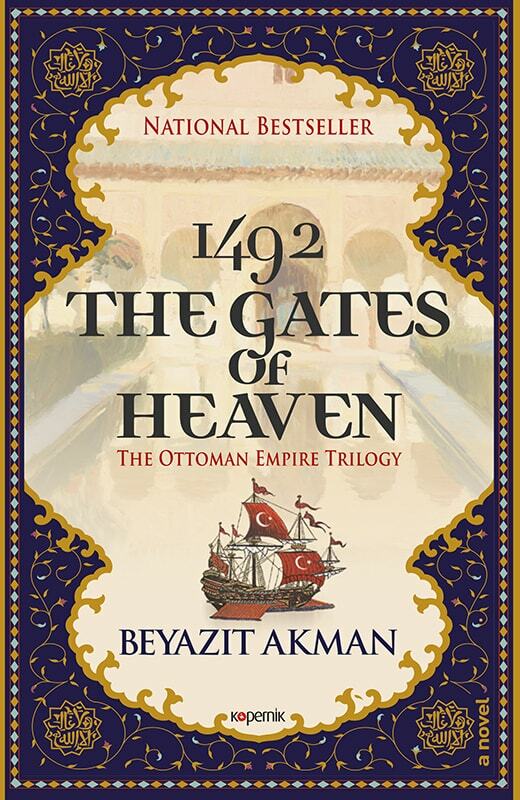 1492: The Gates of Heaven is a work of historical fiction about the story of the expulsion of Jews and Muslims from Andalusia and Ottoman Sultan Bayezid II’s humanitarian rescue of these victims of persecution from the horrors of the Spanish Inquisition. Set against the historical backdrop of the fall of Granada, Columbus’ voyage to the New World and the advent of the printing press, this epic novel brings to life a lesser known, yet no less important, episode in the history of the encounters between the Ottoman Empire and Europe in vivid detail. With the fall of the Emirate of Granada, the Catholic Monarchs launch one of the most devastating atrocities in history on the Iberian Peninsula. Upon learning of the Inquisition’s persecution of Muslims and Jews, Ottoman Sultan Bayezid charges his spy Davud the Brave with a final mission to help the victims of the Inquisition flee the country and bring them safely to Constantinople on the ships of the empire’s finest mariners. Sultan Bayezid, however, has his own inner struggle to conquer at home. As the Inquisition burns mountains of Hebrew and Arabic books, David Marrano, a converso, secretly prints banned books in the forbidden languages to perpetuate Andalusia’s rich culture as he tries to protect his love, Esther, from his dangerous enterprise. In the meantime, with the aid of Arabic maps and Muslim and Jewish navigators, Christopher Columbus sets off on his voyage that will change the known world. An epic tale of adventure from the Atlantic to the far reaches of the Mediterranean, The Gates of Heaven is also an ode to lost Andalusia and a tale of humanitarianism so often not heeded even in the twenty-first century. Much has been written about the history of the Ottomans and their interactions with other European powers. And whereas contemporary historical scholarship has stepped beyond the Orientalist tropes of previous eras, to date, sources that artistically present this rich history in a way that is accessible remain lacking. The Ottoman Empire Trilogy fills this gap as an epic series that spans from the inception to the classical age of the Ottoman Empire. The series has set itself apart from cheaply romanticized versions of history in fiction and has been praised in Turkey for combining in-depth scholarship with artistry and creativity, which is unusual for popular fiction.